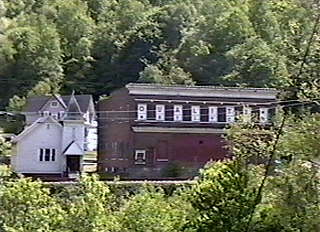 Mill Creek Coal & Coke Company Store at Coopers, WV as it appears today...2002. Original store was built about 1888 and replaced by this store in 1924. EDWARD HERMAN LOWE managed this store until his death in the late 1940's. Store closed in early 1950's and at one time was occupied as a garment factory. Post office was located in the original store and when closed the small wood frame building behind it operated as the post office until 1973. Bramwell then became the post office for Shinbrier - Coopers folks. 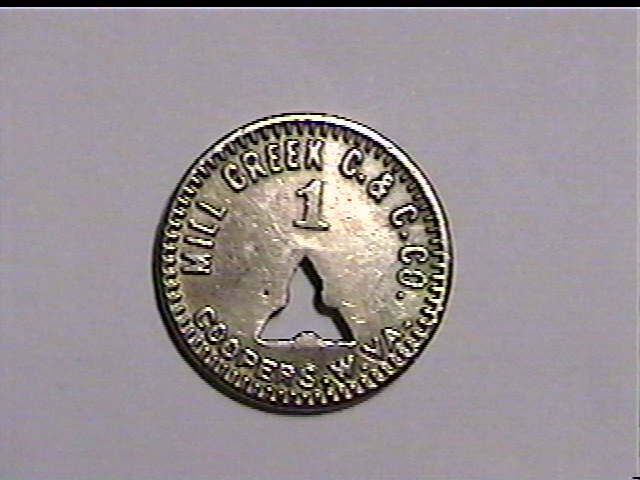 PHOTOS ARE THE MILL CREEK COAL & COKE CO. ELKHORN COLLIERY STORE LOCATED AT BARLOW HOLLOW. 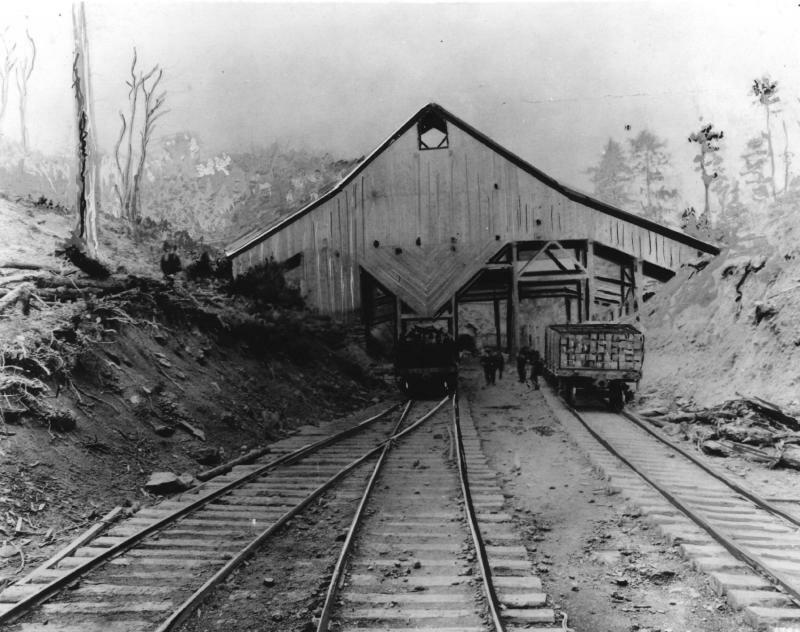 STORE WAS DEMOLISHED IN 1950 WHEN NEW TUNNEL AND RAILWAY WAS CONSTRUCTED. 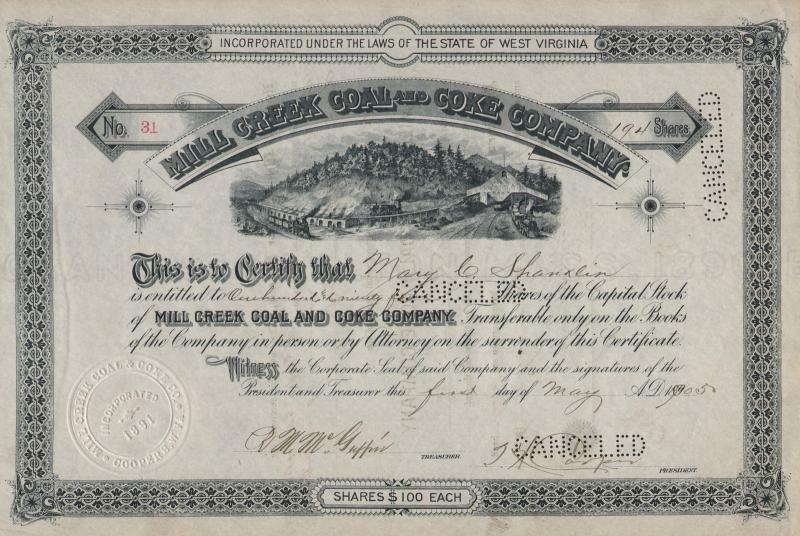 The Mill Creek Coal & Coke Company controls by lease from the Flat-Top Coal Land Association 1,000 acres of land, lying and operated on both sides of the mountain, the works on the eastern side being conducted under the name of the Parent Company, while those on the western side are operated as the Coaldale Coal & Coke Company, although the interests and ownership of the two is identical. The coal runs from ten to twelve feet in thickness, though only nine feet is taken out, the remaining twelve to thirty-six inches being treated as unmarketable, owing to the presence of a small quantity of sulphur, which appears in thin bands at the top and bottom of the vein. There are three tipples and four openings--three drifts and a slope--at Mill Creek, and one tipple and a drift opening at Coaldale. There are 150 coke ovens at Mill Creek, and 110 at Coaldale, a total of 260. The capacity of the combined operations is 2,500 tons of coal and 15 cars of coke per day, and about 450 men are employed. 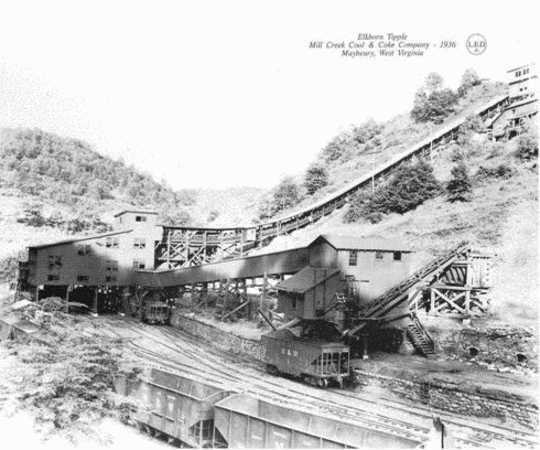 At the Mill Creek mines a stationary engine is used to hoist the coal from the slope, and a Porter mine locomotive is employed to haul the cars between the mine openings and the coke ovens. 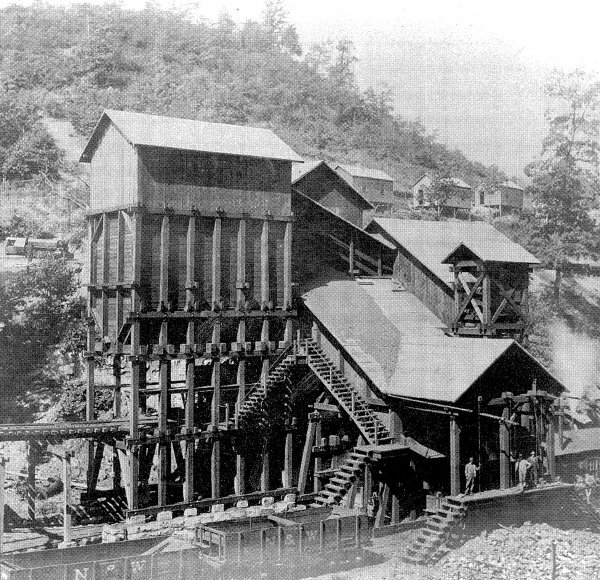 At Coaldale the loaded cars are hauled from the mine and the empties returned by the system of wire rope haulage, operated by a stationary engine at the tipple, which also operates the elevators used in conveying the coal to the chutes that supply the ovens. A Porter mine locomotive is employed as the motive power on the ovens. 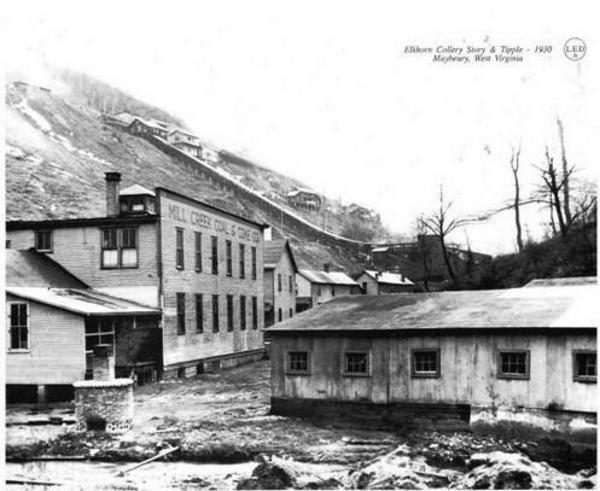 The ventilation at both Mill Creek and Coaldale is provided for by fans operated by power from the engines at the tipples, and the water supply for the ovens and boilers at both plants is pumped from Bluestone River at Cooper Station. 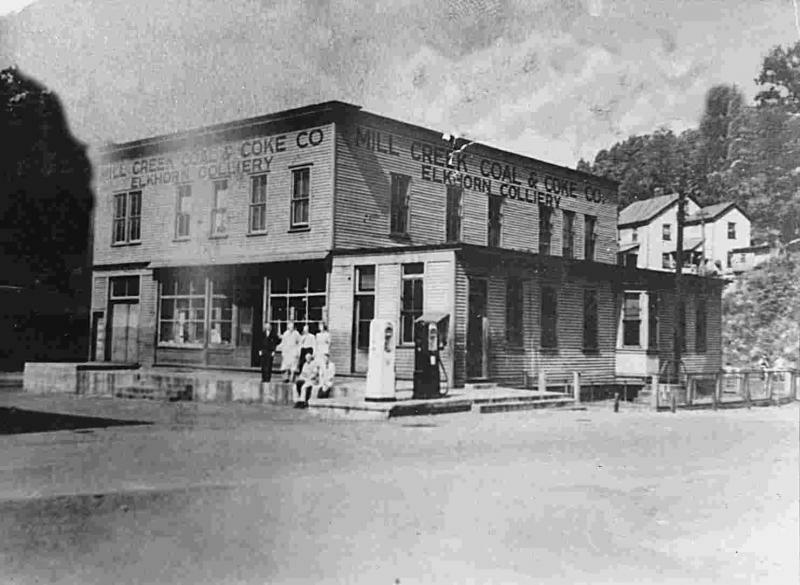 ABOVE PHOTO IS THE MILL CREEK COAL & COKE CO. ELKHORN COLLIERY STORE LOCATED AT BARLOW HOLLOW. 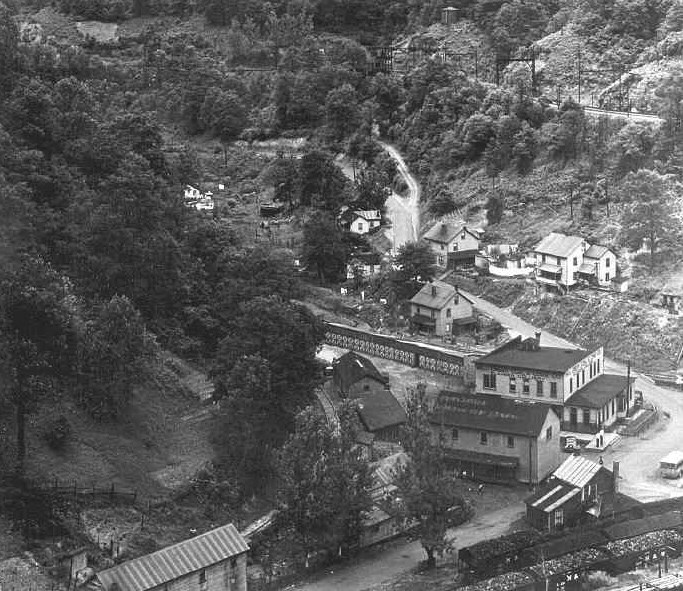 STORE WAS DEMOLISHED IN 1950 WHEN NEW TUNNEL AND RAILWAY WAS CONSTRUCTED. THIS TIPPLE REPLACED THE ORIGINAL TIPPLE PICTURED BELOW. 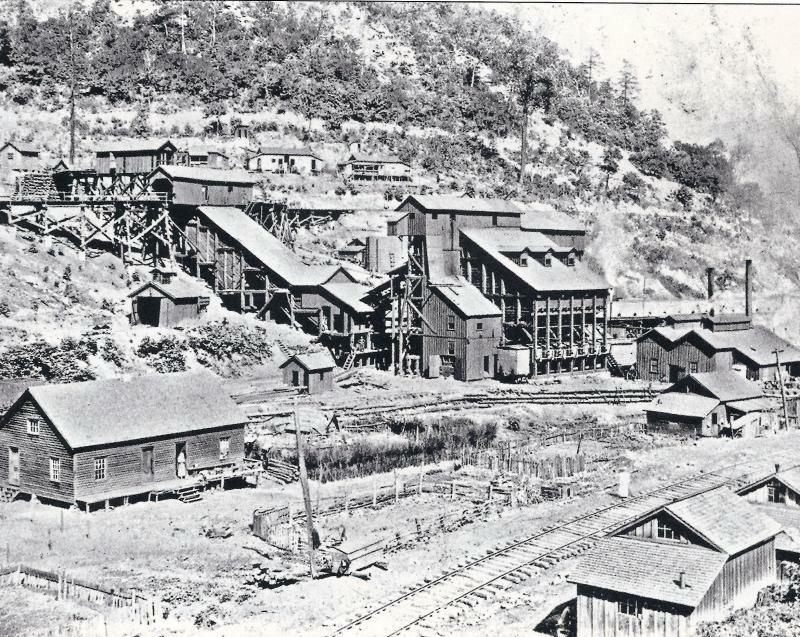 ALL COAL FROM THE WEST FORK, TUG AND ELKHORN MINES WERE THEN PROCESSED BY THIS MORE MODERN TIPPLE. THESE SMALL STEAM ENGINES WERE USED TO TRANSPORT COAL FROM THE MILL CREEK COAL & COKE MINES AT TUG TO THE BARLOW HOLLOW TIPPLE. 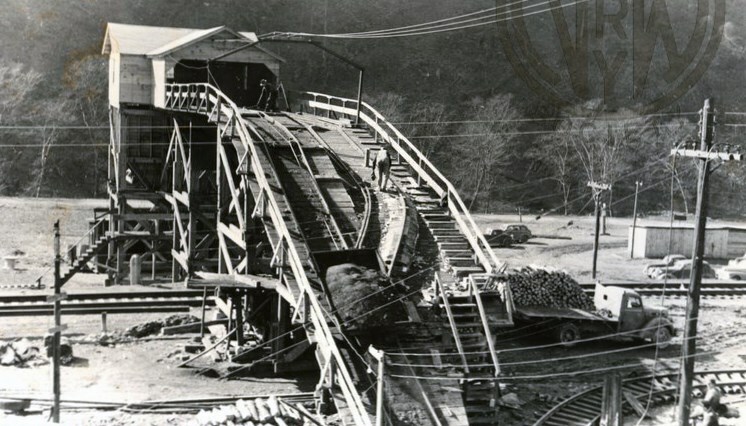 A TUNNEL WAS PUNCHED THROUGH THE MOUNTAIN FROM TUG TO BARLOW HOLLOW TO ACCOMMODATE THE ENGINES. BILL PERDUE, SUPERINTENDENT OF MILL CREEK MINES, IS SEATED IN ENGINE. LATER, THESE ENGINES WERE REPLACED BY ELECTRIC MOTOR CARS. 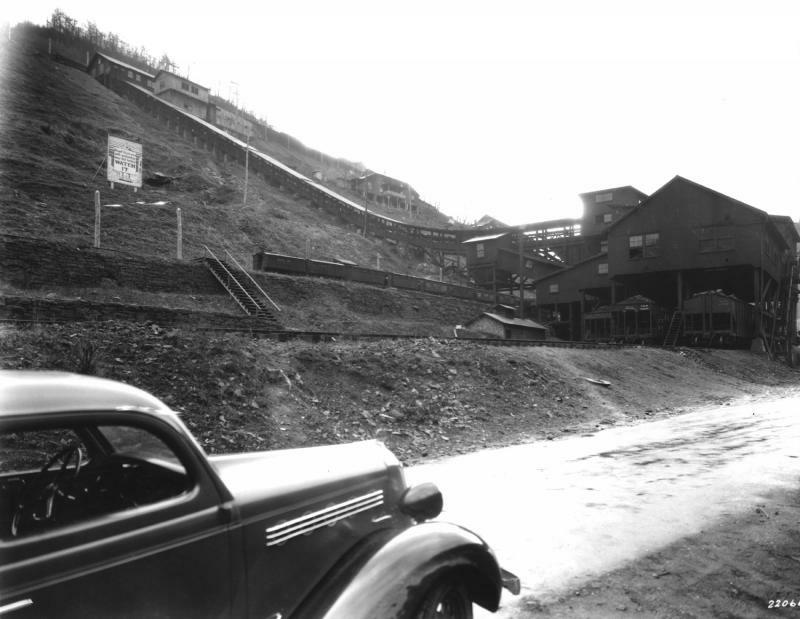 Mill Creek Coal & Coke Wardue Mine, Bartley WV, Dry Fork Branch circa 1940. 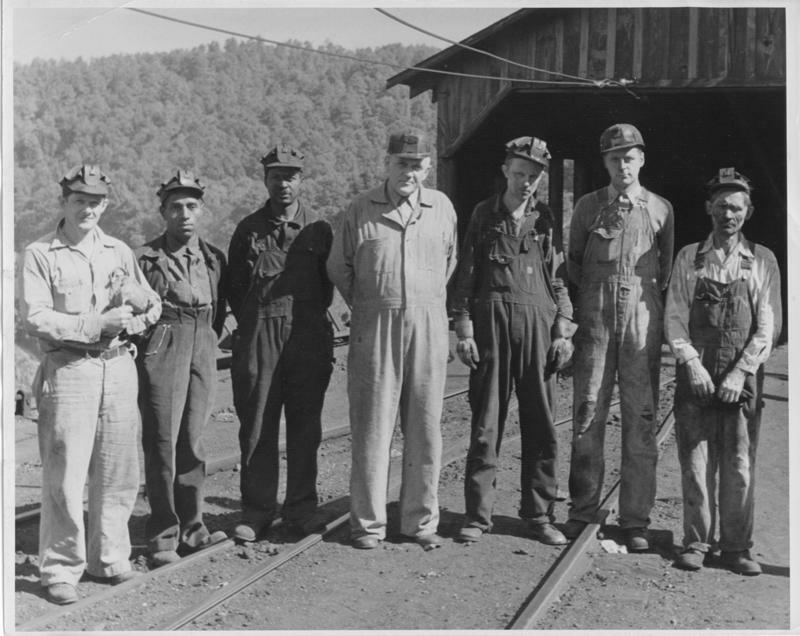 This was the last Mill Creek Mine to operate. NOTE FOR JIM DANTORLEE ~ Jim's real name was Vincenzo Dattolico. Correction by Sebastian "SAM" Dattolico.